In its fifth year, Independent Bookstore Day, Saturday, April 27th, celebrates independent bookstores nationwide. It's a day to discover Vermont's independent bookstores! Take part in the Vermont Independent Bookstores challenge! Visit 3 or more independent bookstores in Vermont on Independent Bookstore Day, Saturday, April 27th for your chance to win the full prize package of a Vermont Independent Bookstores pin, sticker, magnet and reusable tote! Usually winning all this loot would require visiting all 20 bookstores featured on the Vermont Independent Bookstores Passport! In 2013, Raynor Winn and her husband, Moth, suffer two terrible blows to their way of life: Moth is diagnosed with a terminal illness and the couple is evicted from the home where they have lived all their married lives. Hiding under the stairs as the bailiffs pound on the door, they reflect on their options: they have no money and no home. “We could just walk,” Raynor suggests to her husband. And so Raynor and Moth decide to walk England’s South West Coastal Path. The South West Coastal Path runs for 630 miles, from Minehead in Somerset, through Devon and Cornwall, to Poole in Dorset. This is magnificent country: it’s a land of beauty, of history, and of legend – Tintagel Castle in Cornwall has long been linked to King Arthur and his knights. The myriad bays and coves, once the hangout of smugglers and wreckers, draw artists and craftspeople from around the United Kingdom and beyond. Raynor and Moth set out with the bare essentials: backpacks, sleeping bags and a tent. To save money, they sleep wild as often as they can. Along the way, they meet a host of interesting characters, including a prophet who predicts they will spend a day walking with a tortoise, a prophecy that comes true towards the end of the book. There’s a sense of camaraderie with the other long-distance walkers, a shared understanding of what life is about, and a gritty determination to keep going. 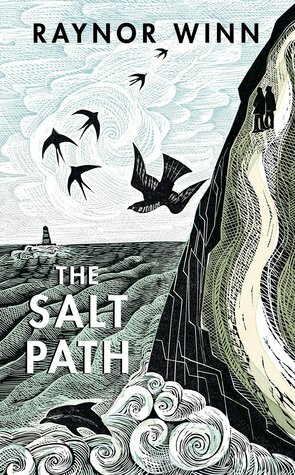 The Salt Path is a reflective and thoughtful memoir. The pace is measured, like the path, step-by-step. Winn’s mood swings up and down, but, slowly, as they walk the rugged path, she comes to the realization that this moment, this here and now, is all that matters; that walking is purpose enough and gives meaning to the day. And that by enduring, people can overcome adversity and find happiness. This is an inspiring read. Since walking the South West Coastal Path, Raynor Winn has become a regular long-distance walker and writer. Her themes include camping, nature, and homelessness. Winn lives in Cornwall, England. We have collected all the author interviews featured in our newsletters here. You can view past issues of the newsletter here. Please email phil@benningtonbookshop.com if you would like to subscribe to our newsletter. Thank you for your support of The Bennington Bookshop. Struggling over which book to buy as a gift? Make sure you get the perfect book every time with a Bennington Bookshop Gift Certificate. 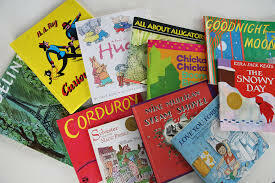 Our Book Bank is a flexible way to ensure your loved ones receive a book on a regular basis. Click here to take a tour of The Bennington Bookshop.